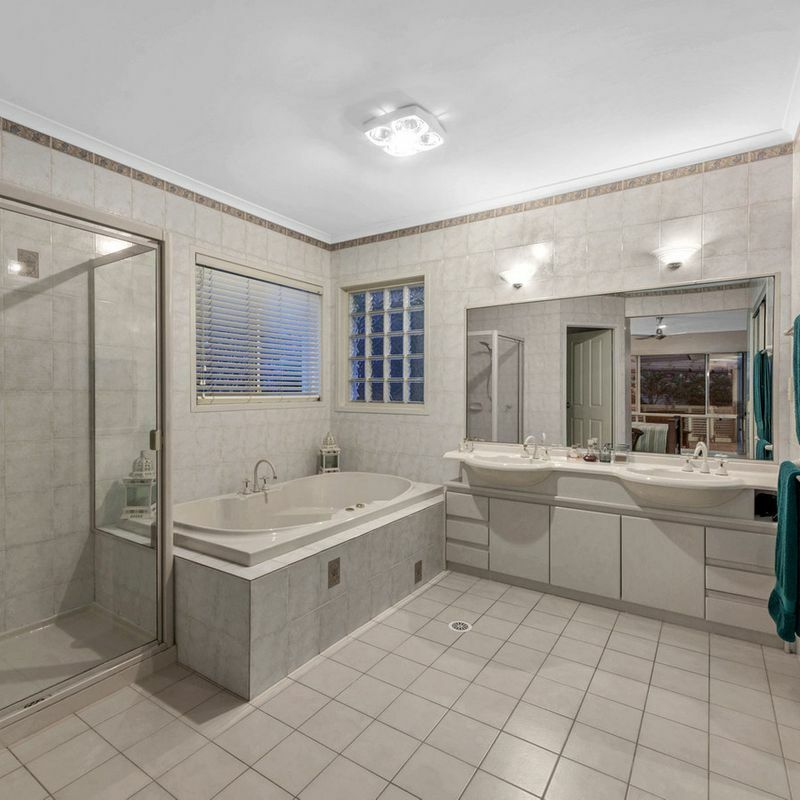 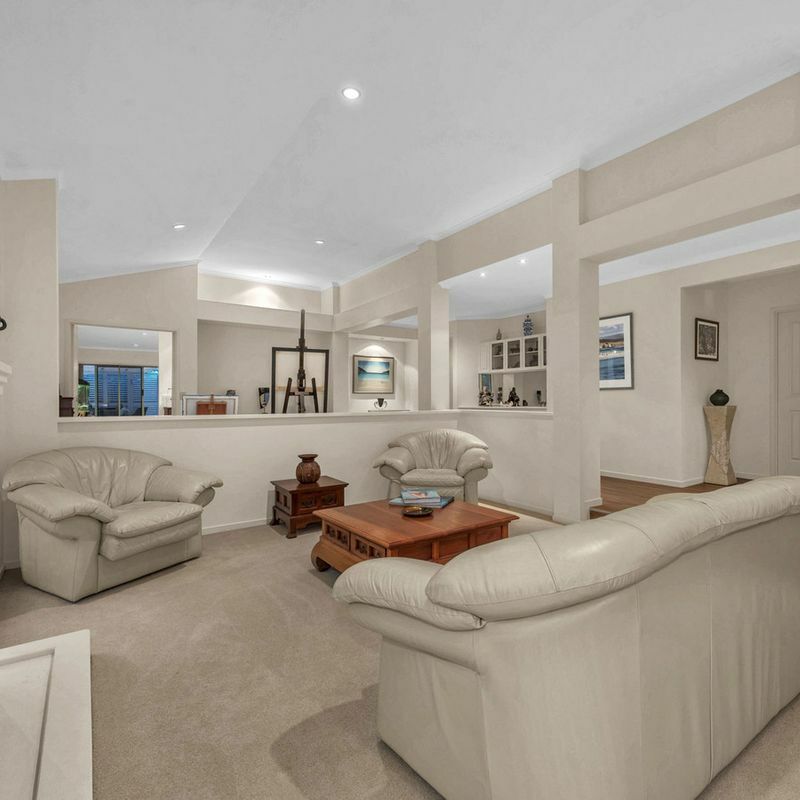 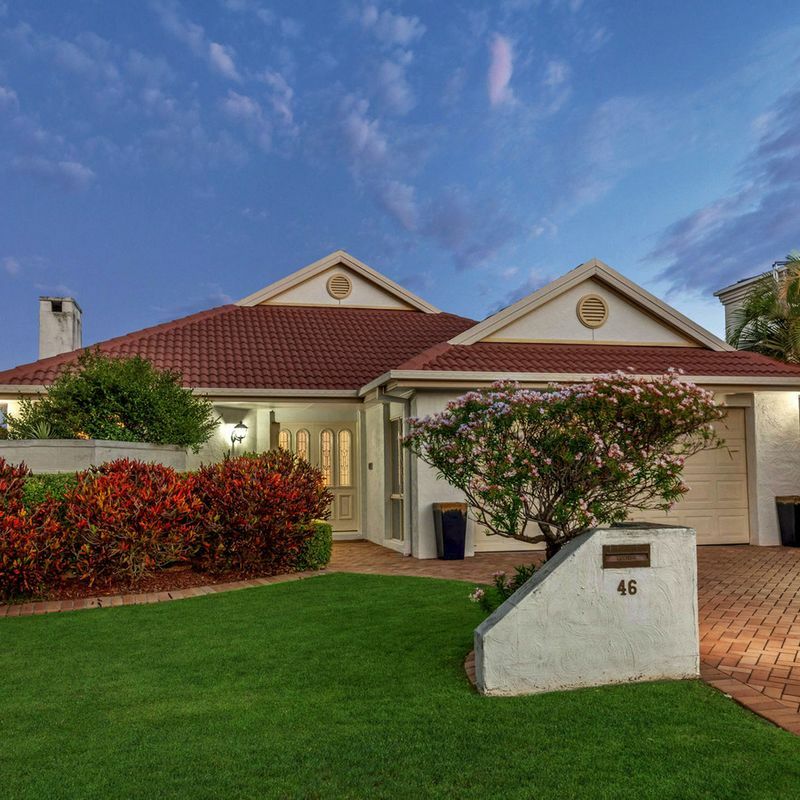 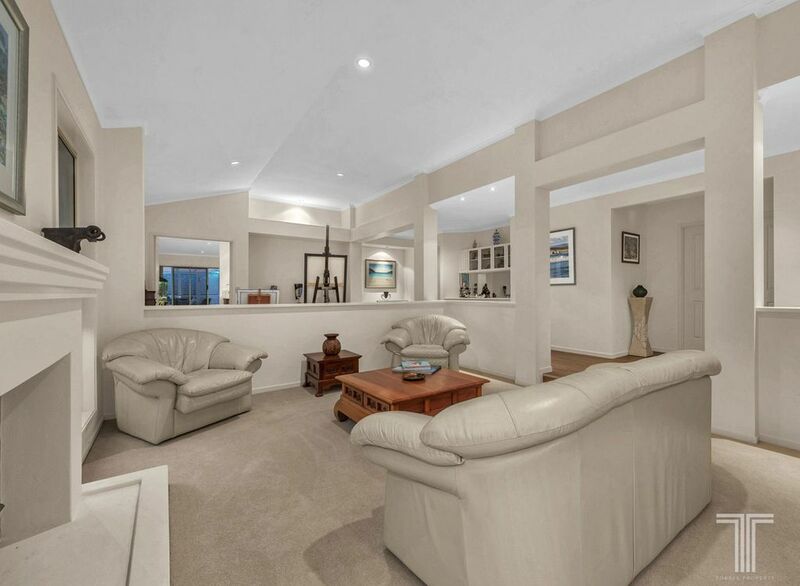 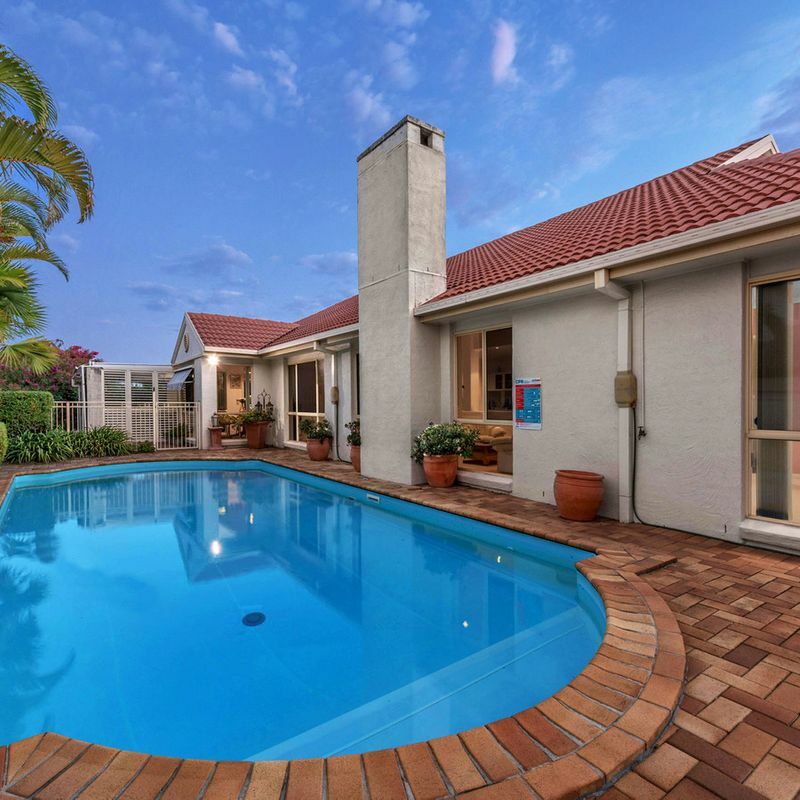 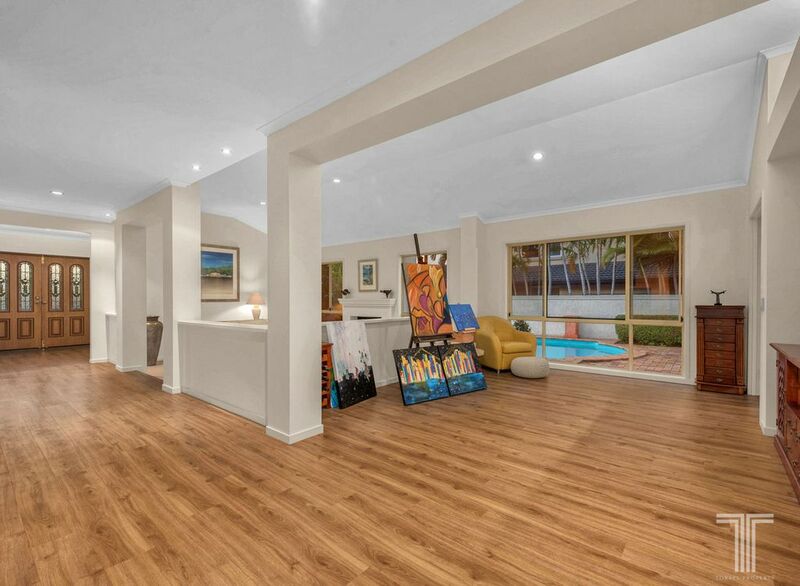 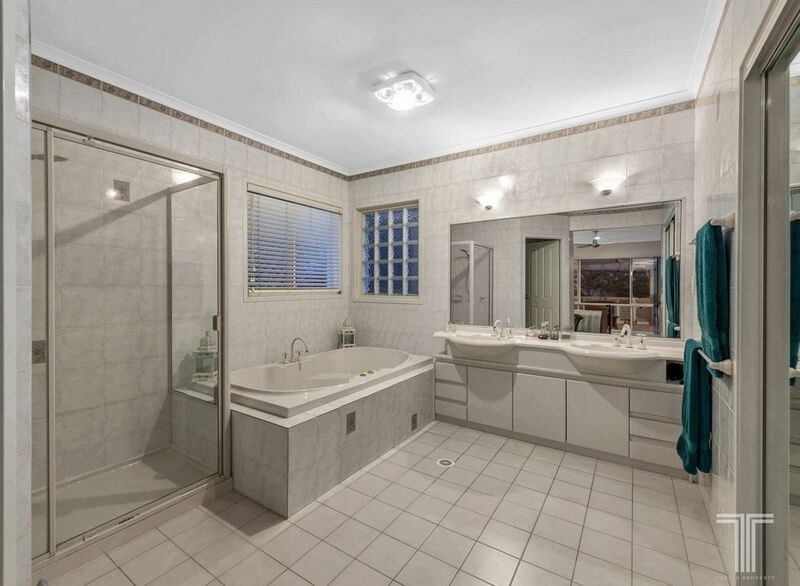 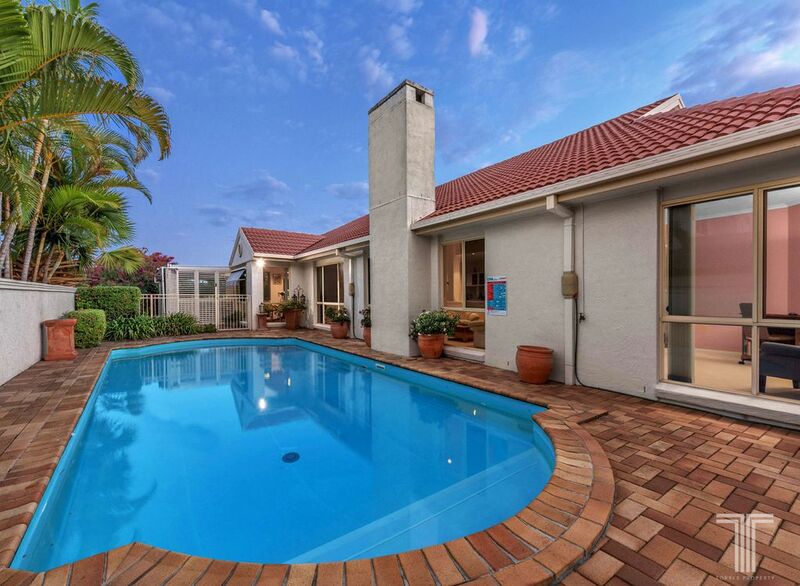 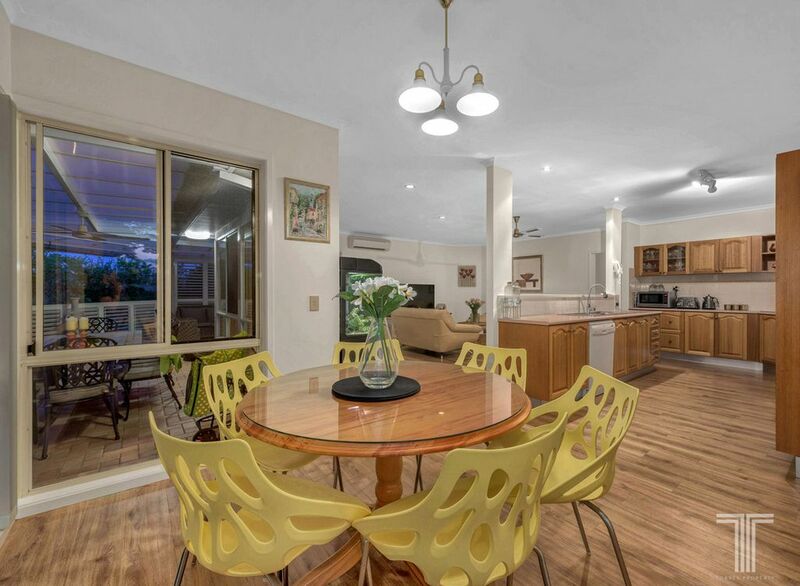 A lovely home set on an expansive 768sqm block, this low set residence within the popular Fairways Estate has been designed to take full advantage of cooling sea breezes. 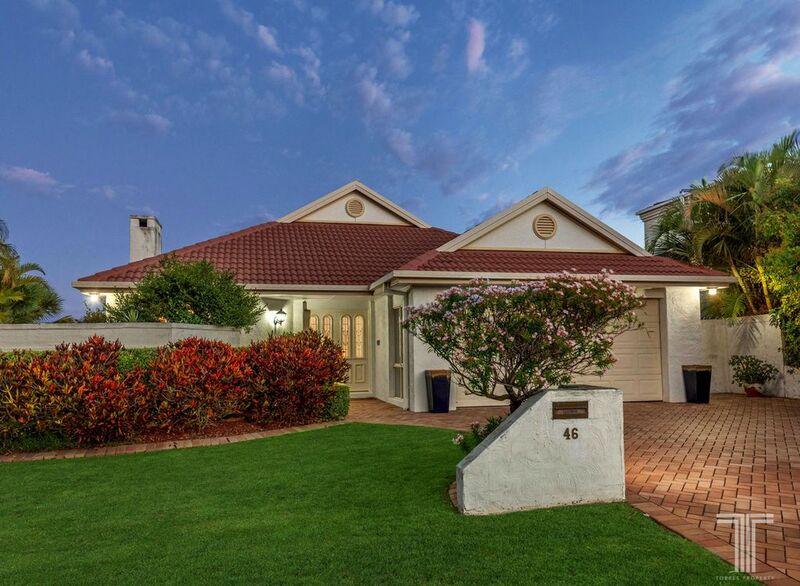 Framed by charming manicured gardens and designed with peace and privacy in mind, the home greets you with a spacious formal lounge. 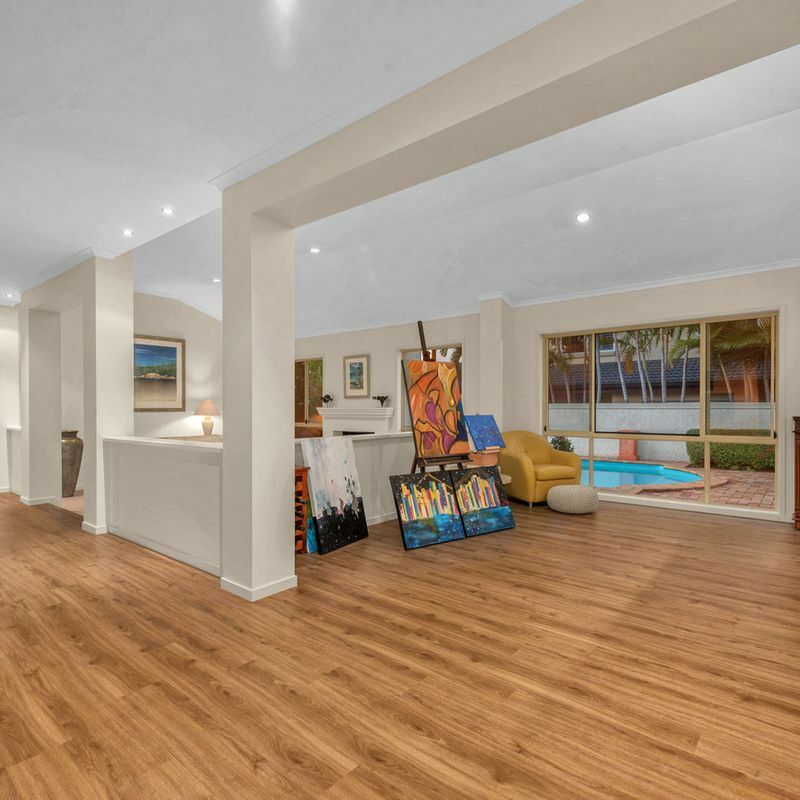 Boasting plush carpeting, high ceilings and cosy fireplace, this lounge is positioned next to the formal dining room which features polished timber flooring and views over the pool. 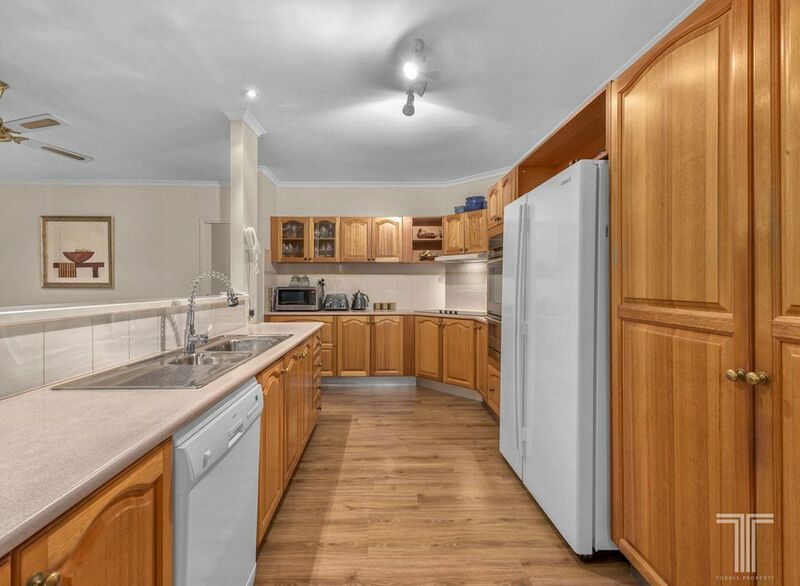 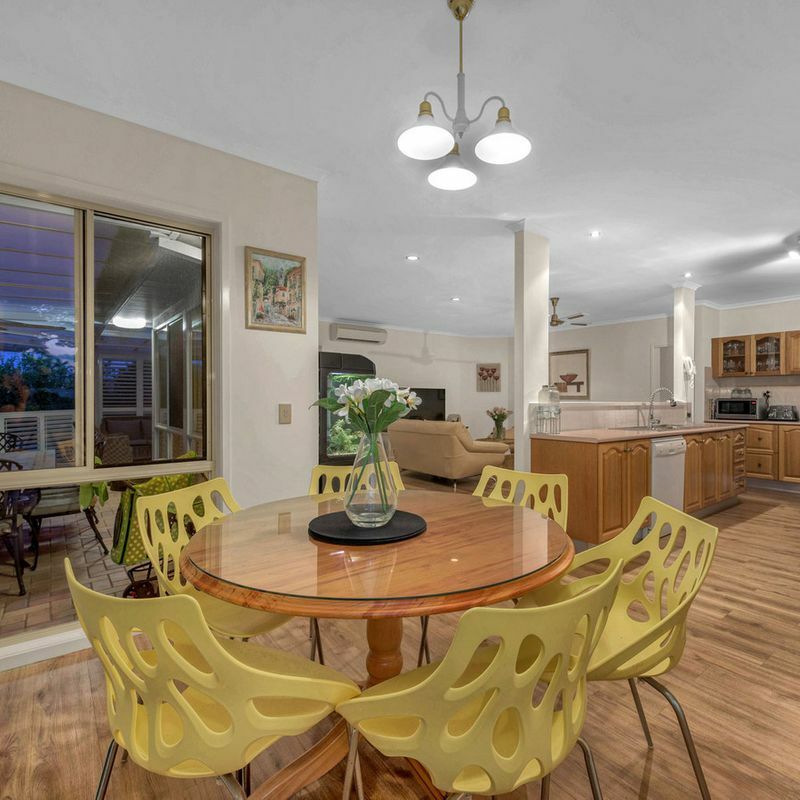 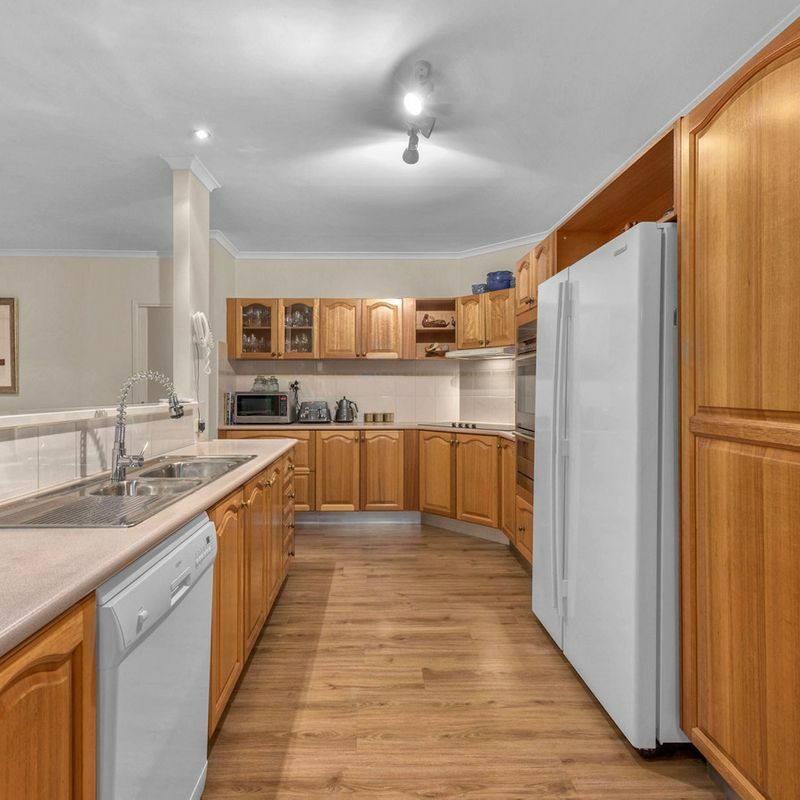 Ideal for more relaxed living, the casual meals and family room extends outside via sliding doors and adjoins the central kitchen featuring ample bench space, breakfast bar, timber cabinetry, Electrolux dishwasher, double wall oven and CHEF induction cooktop. 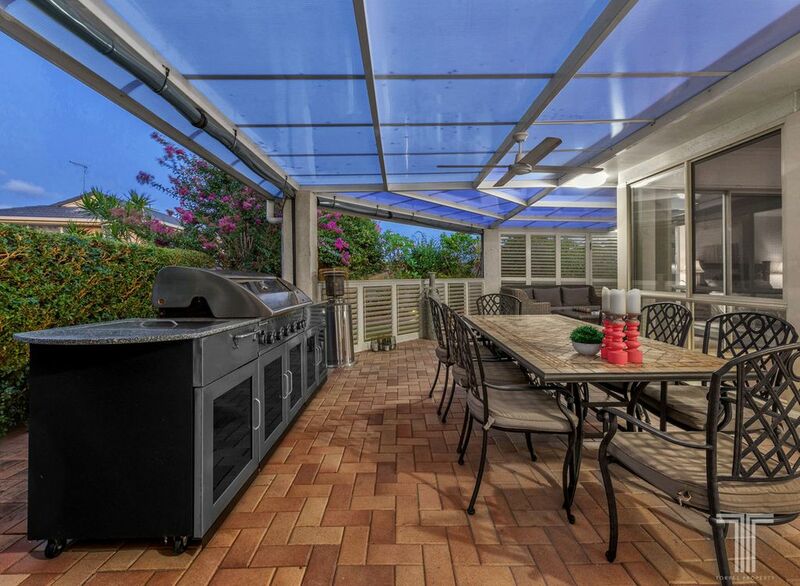 Perfect for poolside entertaining, the undercover alfresco terrace is destined for summer fun. 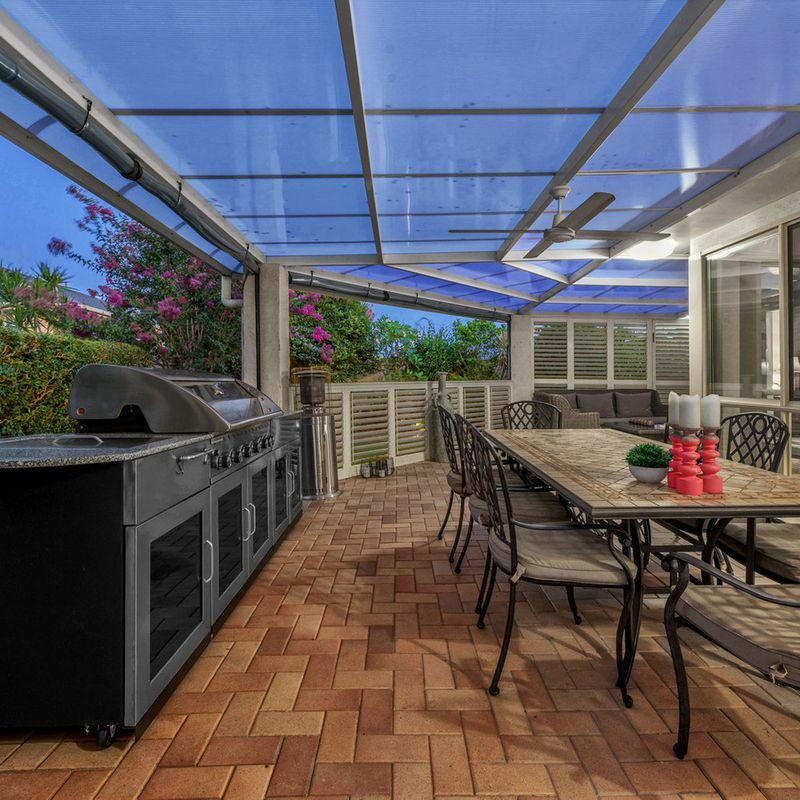 Featuring a transparent roof, ceiling fan, roll down blinds, plantation shutters and views over the garden, yard and pool, this retreat is complete with an outdoor kitchen with portable BBQ, sink and cabinetry. 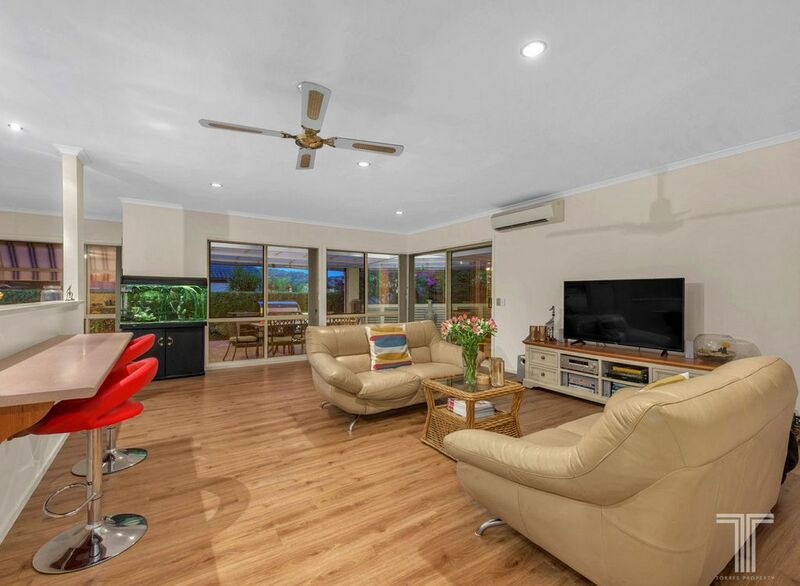 Hosting four generously sized bedrooms, all with ceiling fans and air-conditioning, this home presents plenty of space for the whole family. 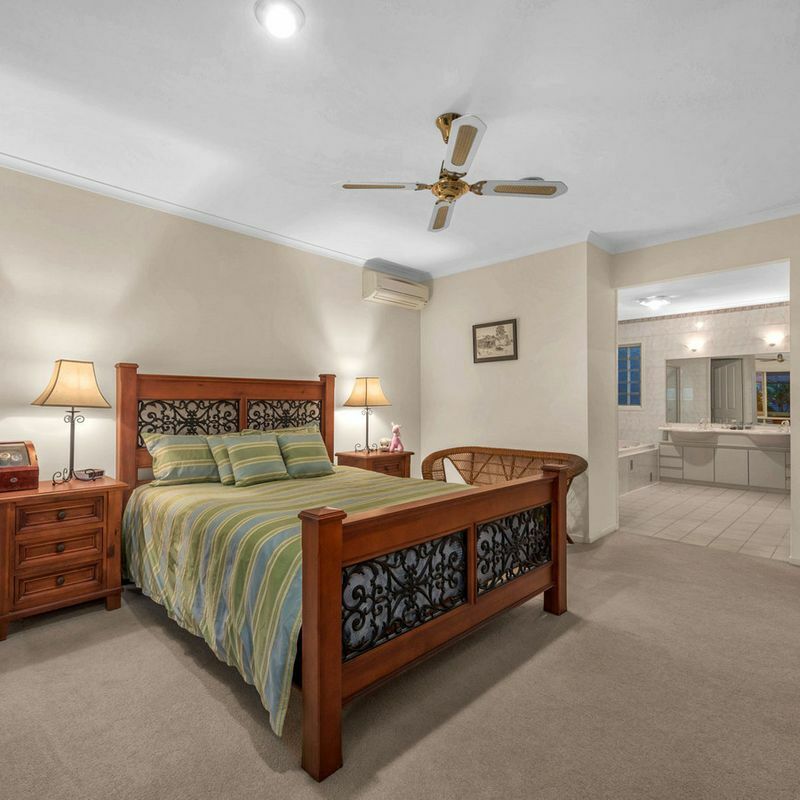 Enjoying an ensuite with dual vanities, walk-in robe with sliding mirrored doors and access to the terrace, the master bedroom is sure to impress. 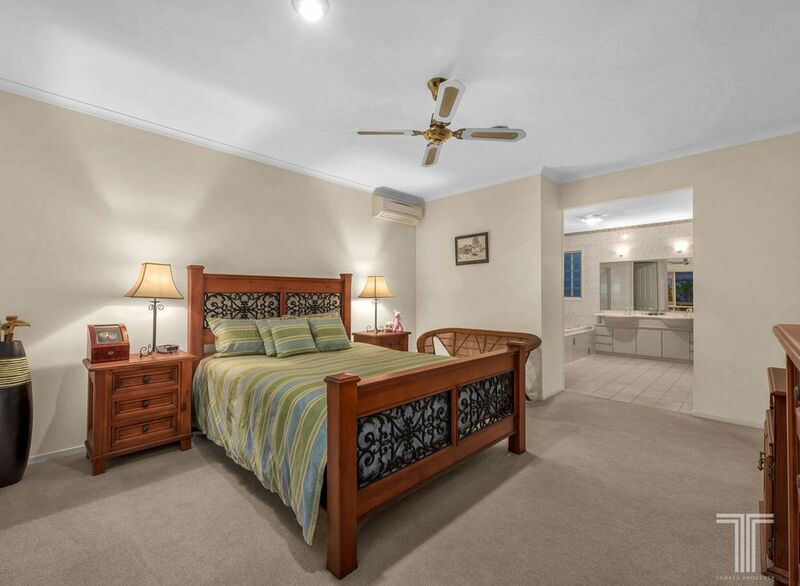 A second bedroom also includes a walk-in robe, while bedrooms 3 and 4 include built-in robes and easy access to the main bathroom. 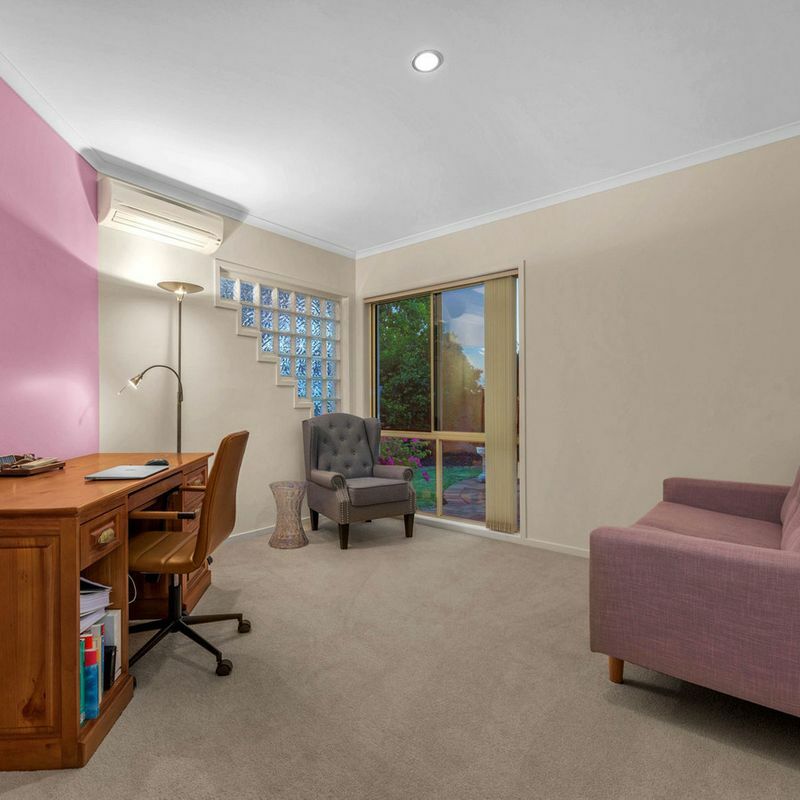 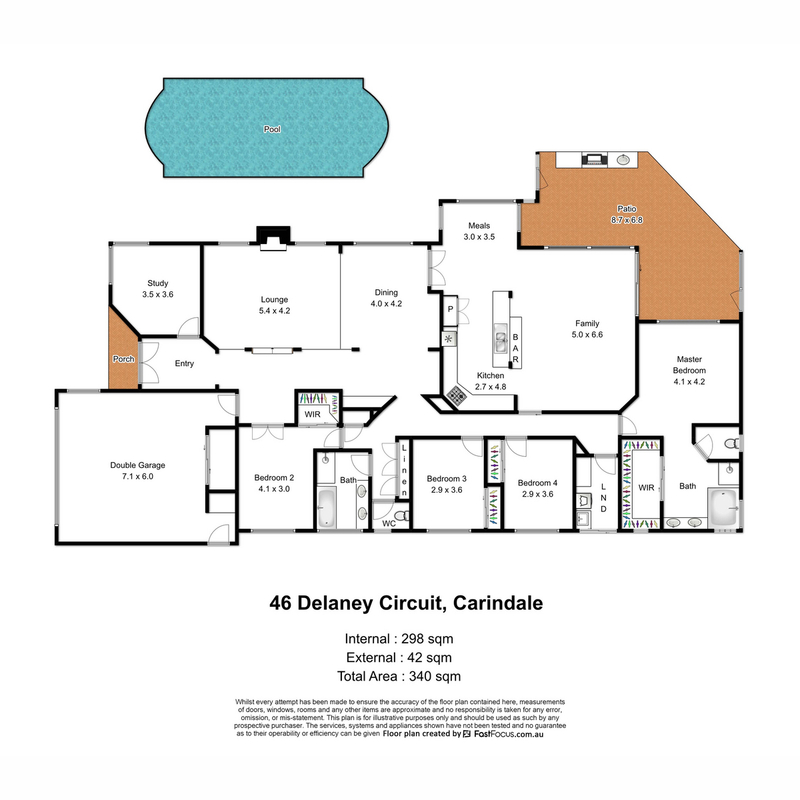 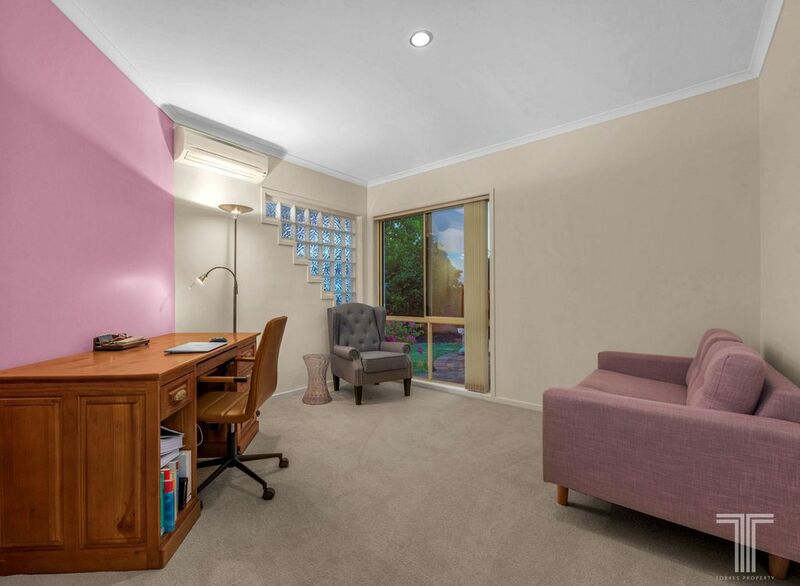 A home office or study, located off the entry, is perfect as a fifth bedroom ideal for guests. 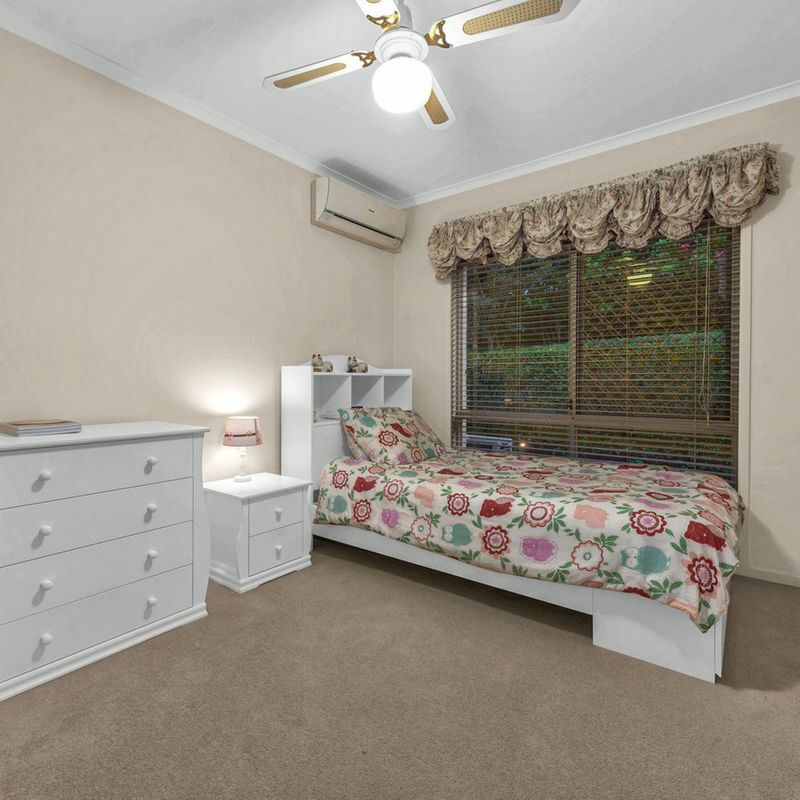 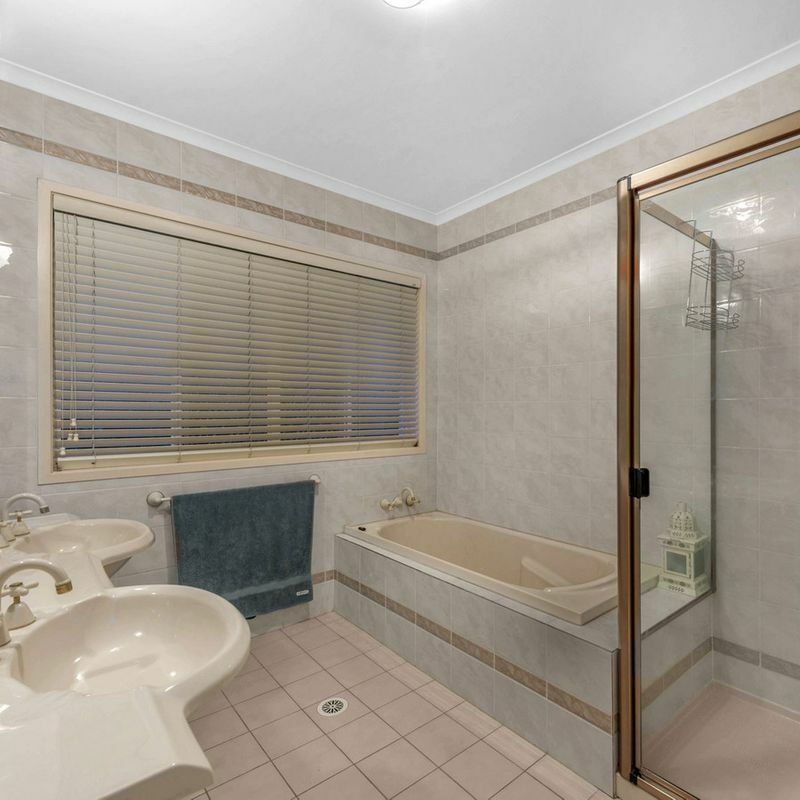 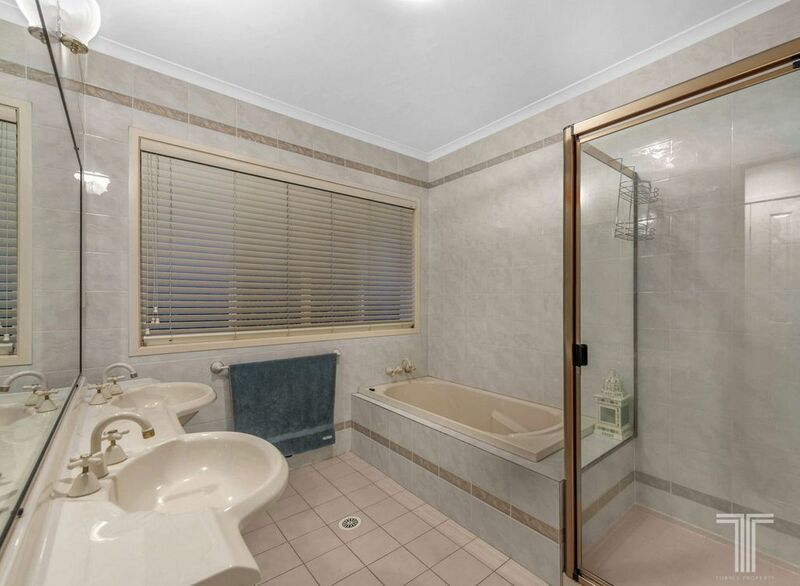 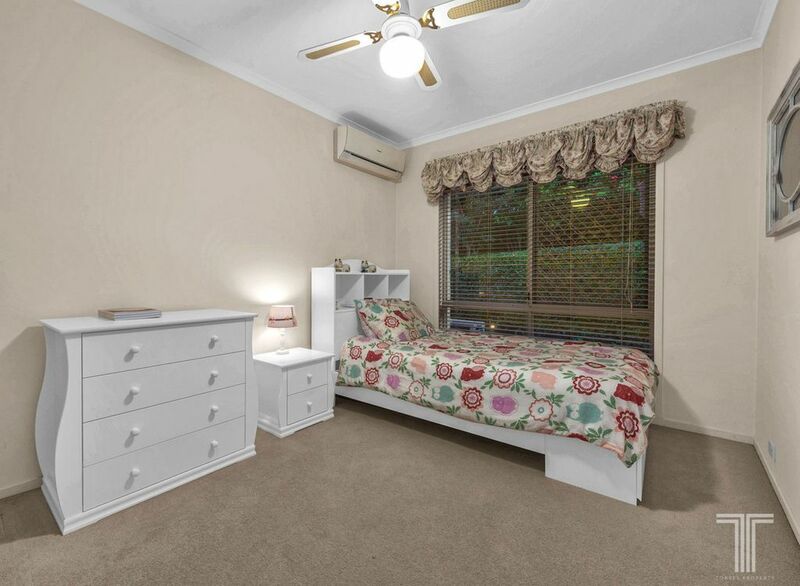 Exclusively positioned within the Fairways Estate, this wonderful setting is surrounded by family friendly parkland and only moments to local and city buses, Westfield Carindale, local shops, Belmont State School, Griffith University and a selection of quality private schools. 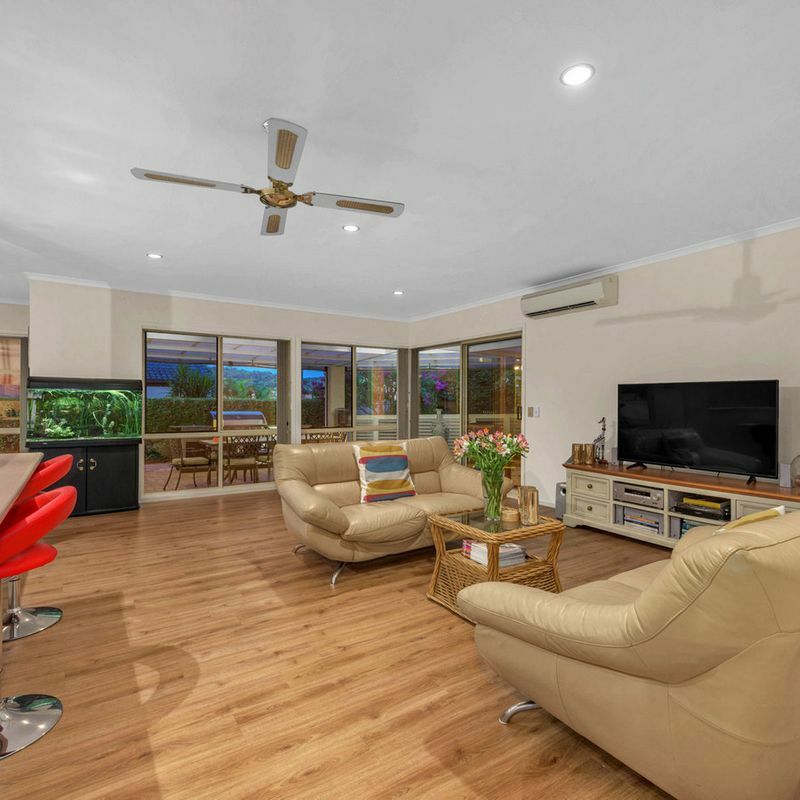 Offering easy access to the Gold and Sunshine coasts via the Gateway Motorway and only 20 minutes to the CBD, this opportunity won’t last – enquire today.